Welcome to our farm site! Classic Peruvian Magic does it again... winning his 8th Championship at the 2010 MOPACA Invitational! At 3 1/2 years old the judge said he was the oldest and the finest of the 38 brown males. He's not only fine, he's dense too... Magic's total shear weight for 2010 was 10.7 lbs.!!! 8 Championships and all of the judges agree that he's the total package. He truly is a winner! Outstanding bloodlines includes Accoyo Caligula, 4Peruvian Black Magic, and 5Peruvian Camelot. 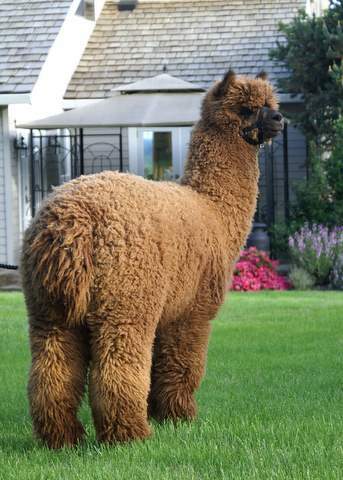 Peruvian Magic is an awesome herdsire. He has that elusive quality of presence and beauty. Excellent bone and coverage, beautiful typey, perfect head, and a 14.7 micron fleece that rivals even the best whites! Even his neck fleece rivals most of the best prime fleeces out there. 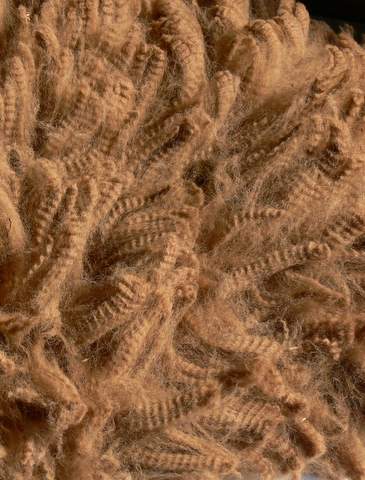 He has an extremely fine bright fleece that is so dense and beautifully crimped with gorgeous lock structure and an incredibly soft handle. His fleece picture doesn't do him justice or show how bright his fleece actually is. He truly has a superior elite fleece that is absolutely gorgeous! A winner in all respects... Magic has it all! We are very excited to add his awesome genetics to our breeding program. 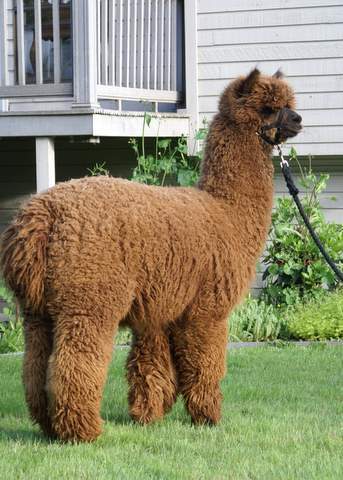 Classic Peruvian Magic is proudly co-owned with Alpaca Alliance and he is standing stud at Walnut Creek. Magic's book is currently closed to outside breedings. Histogram Analysis revealed a very fine uniform fleece! 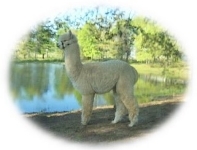 Full Peruvian, true black, 846861, His sire is Peruvian Black Magic, one of the pre-eminent black herdsires ever imported from Peru and his dam is a maroon full Peruvian Camelot daughter. Full Peruvian and nothing but color in his background. 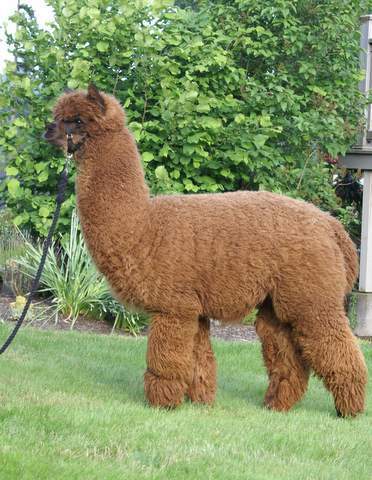 His fleece is very fine and bright with a deep, tight crimp! 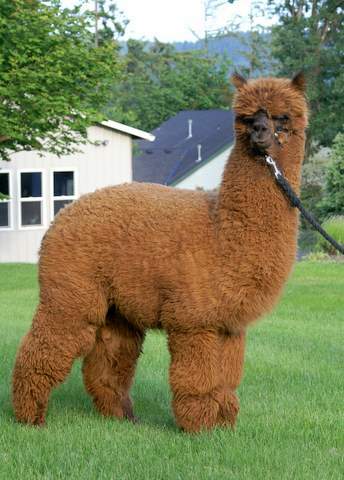 ... envied on any alpaca but especially on a true black. 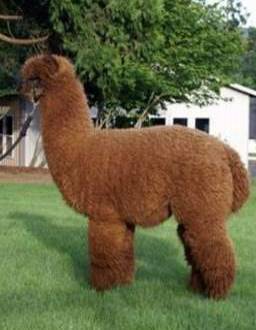 His straight legs are covered with abundant black, curly fleece all the way down to, and covering his toes. His top knot is full and dense. With his excellent conformation and unbelievably gorgeous fleece, he's promising some excellent crias in the years to come. Full Peruvian, white, 802039, Peruvian Classy Lassy holds herself proudly at all times... and what a producer! Her fleece is fine and dense, as her heritage dictates. A Passport daughter and a Caligula grand daughter. 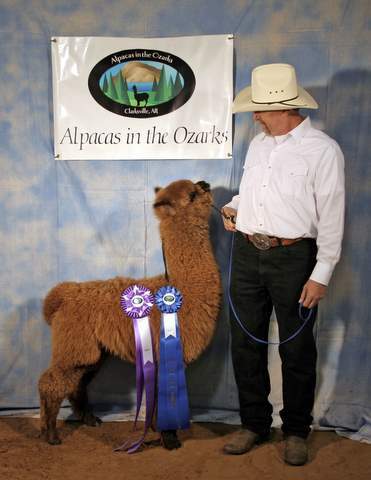 Classy is a producer of top quality crias. 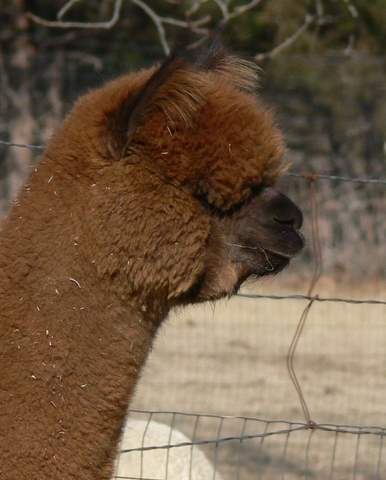 Visit Walnut Creek's Alpaca Blog to see what we're up to and for the latest news.